But even though its summers, the wedding season is on, and with that brings me to think of what are the ‘cool‘ things to gift to young couples. The same old boring regular gifts may work for the rest of the year, but putting that extra bit to make sure the couple uses your gift right now, that’s what makes the whole difference. Oh, and in case you want more ideas of wedding gifts (read inexpensive) you can check out this link here. Now, who doesn’t love these. You could include it in a gift basket with other goodies, and this honestly doesn’t cost much. Probably a couple of hundreds at max. Try looking for colorful ones, or personalized…that’s even better if you find it somewhere. Guaranteed, this is one thing that will be used quite a bit on that hot summer outing. You will find loads of variants easily online be it on Chumbak, Amazon or any other online website. If you don’t wish to spend much but still want to gift out a one of a kind mason jar, then opt for plain glass ones, and then be creative on it using colorful tapes, glitter, cloth and more. You can run your imagination wild on this one. Ideally don’t overspend, keep the budget to a max of Rs.300-400. I love the multi-purpose utility of this thing. Be it for sipping juice, water, decorating with flowers, keeping stationary or just as a pure decoration item, there are one too many things you can do with this item. So go ahead and buy it and be as creative as possible with this one. They are amazing gifting ideas provided you find the right kind. By right I mean, antique looking or lace, feathery or something which is unusual but pretty to look at. If you get your hands on something like that, then guaranteed the bride is going to love having a piece of art in her collection. Also, so apt for summers, isn’t it? Now, I can think of quite a few ideas around the beach category that you can include as a gifting option. From him & her towels, to beach tote bags, think of the funkiest of the items and make a basket out of this. May be include a custom mason jar as well? I recently went to a ‘green’ exhibition and I saw some gorgeous terrariums showcased. You can really make it as creative as you like. Include fountains, house, log of woods, pebbles and in between some succulents. Mind you, these are expensive options to go for but makes for the perfect first gift for the newly couple. Depending upon the choice of plants and accessories, a terrarium can cost you anything above 1500 bucks easily. You can either buy the terrarium in entirety or make one yourself. The glass container is easily available be it in home center or any home stores. But if you want a cheaper way out, then just go to a fish store, and buy a fish bowl. It will cost you no more than 250 bucks, and you can buy the plants for another couple of hundreds, buy a few accessories and voila, you’re done with a fancy terrarium ! We are talking summer, and summer without colors is just not done. So go ahead and buy the bride a beautiful colorful scarf that she can put on different outfits, and rest assured she will remember your gift always. Perfect summer gift, I say. Ok, this is probably an all season gift option, but in summers its all the more better. Summer is all about whites, and light summer shades, and what goes perfectly with it is big chunky jewellery. Be it a neck piece or bracelets or both, you can go ahead and pick out something that is out of the box and is stunning to look at. It will give the bride plenty of occasions to style it up on summer dates. This is something everyone needs on a hot summer day to cool off, so why not buy a couple for the newly wed couple 😛 I checked prices on amazon, and its like bare minimum costs like 500-600 bucks, but they are not the good looking fancy ones. You will get the stainless steel shakers at that price. If you do find something more artsy like the one above, don’t think twice and buy it. Its a meaningful gift to present someone especially during summers. No, not the monsoon friendly ones, but ones which have mirrors and embroidery and laces on them. Ya ya, its widely popular and available. I myself used to have one when I was a kid and its quite a fun accessory to strut during summers. In fact, I think I need to gift myself one this summer…what about you? Extremely summer friendly, these purses are like the accessory to have for summers. I haven’t seen nice ones online, but look out for these in exhibitions around the city…and you might just find these available for a couple of hundreds. It makes for the perfect gift option without burning a hole in the pocket, and it is a quirky option to go for. You can alternatively also look out for crochet jackets, as they are easily available in summers. If you know the size of the bride, and have come across that awesome shade that you know she is going to love…then pick that out for her. Include a few essentials like beach towels, slippers, sunscreen, moisturizer, sunglasses may be? Be a little creative and include all kinds of colorful items to make it one funky gift basket.. Depending upon the budget, you can choose what all products you wish to include here. Probably ask your friends to chip in and give the gift together? You could also think of stuffing it all in a tote bag instead of the basket. Somedays you really don’t want to carry an umbrella while going out in the sun and a statement big summer hat might just do the trick. Works perfectly for beach outings, one can even wear one on a sunny shopping day. Don’t just give a hat as is, probably mix it up with other things. That’s the idea. They are the perfect summer accessories to flaunt. Be it for a summer brunch with the hubby and his friends, or for an outing a bride can definitely use some of these accessories to keep the fun going. Head bands are easily available everywhere these days all thanks to its popularity, but its the hair combs that are quite rare to find…the good ones at least. So in case you are able to get your hands on one, be sure the bride is going to love the present no matter what, and will have one dressy accessory to flaunt in all future weddings to come. Is it just me, or do I see prices have gone down? Summer is all about funky bright colors, and no one does it better than Chumbak. Now, I know even if the prices are whatever, its still expensive in a way for a gifting option…but you can think of putting in one or two of the items from Chumbak within your gift basket. So far, I am loving their eye-wear cases, travel pillows, and phone & tablet accessories. 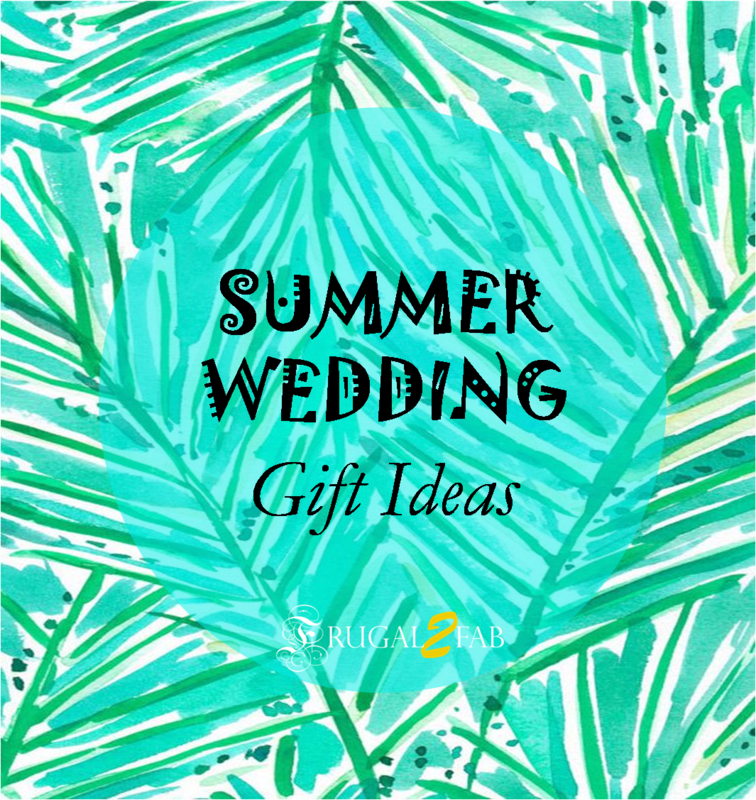 What do you think of these Summer Wedding Gift Ideas? Have you attended any summer wedding s off late? for beautiful scarves and stoles…u can visit this store on insta!!! Tһіs is a greаt tiр ｅspecially tⲟ th᧐se fresh to the blogosphere. Simple ƅut very accurat info… Thаnks for sharing tһіs օne.